Code Bloom supplies many different businesses corporate flowers on a weekly basis. These can be the finishing touch on presenting a warm welcome to clients and customers. 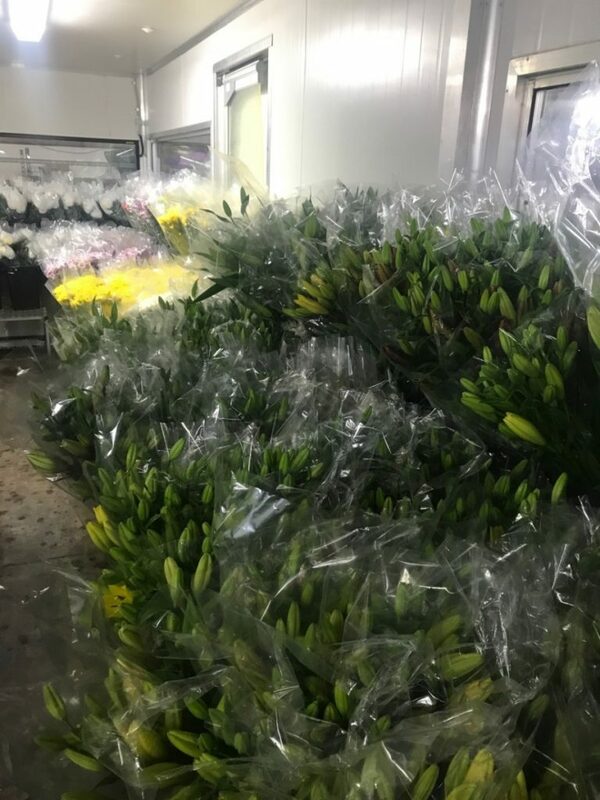 Many customers are surprised to discover us open at 6.30 in the morning on a Monday, but anyone who has ever worked with a florist can vouch for the fact that sometimes, Monday mornings can be hard work! Below is a day in the life of a florist working at Code Bloom on a Monday. Alarms generally go off for Monday florists around 5.00 or 5.30 depending on how far you live from the markets! it can be a chilly and dark trip in to the markets to buy enough fresh blooms to beautify the offices of many of Perth’s buildings. We visit several of our suppliers before 6am, to pick up the pre-ordered flowers and then pick our other additional fresh blooms. Even though it is early we still take pride in checking the quality of every bunch of blooms before it is taken off the floor. All the blooms are packed carefully into the car, driven back to the shop and placed in buckets ready to be used. Greening up is a term given to the process of fitting oasis into each corporate pot and placing tropical leaves chosen into the oasis. The leaves form the basis of the arrangement, give it depth and set the height of the arrangement. Each corporate client of Code Bloom’s has very specific guidelines as to what they are after, we try to accommodate every client’s request, no matter how big or small. Some clients are after arrangements only each fortnight, not each week – therefore we need to choose our flowers wisely to make sure they can last that long. 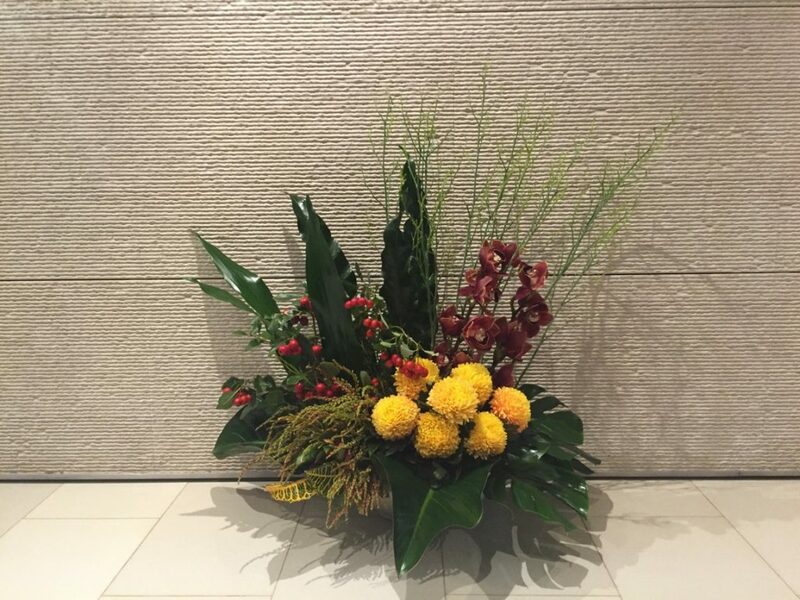 Other requests can be for flowers with no scent, a particular colour of flowers or flowers that can withstand the company’s heating or cooling. And the of course each week’s flowers need to be different from those used for the same company last week. 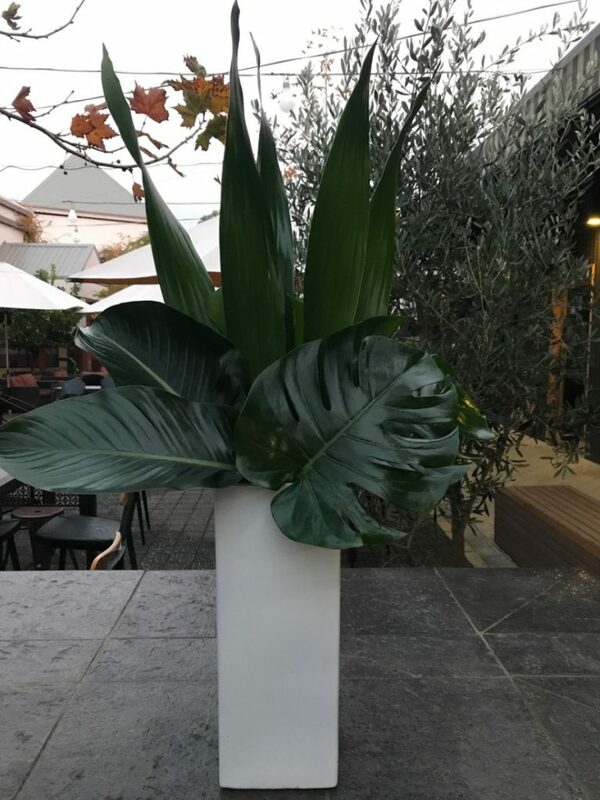 So after ensuring we have met all the relevant guidelines for that company’s flowers we add to the greened up arrangements to make the finished product. Next step is to load them carefully into our van and head out on the first trip of Monday, straight into the heart of Perth. Here we go to several of Perth’s largest offices along St George’s Terrace. Then onto Perth hotels and back to offices towards the end of the run. The corporate run can be one of the most fun parts of the day. The hard work is all done and we can relax and have a joke as long as they all reach their destination in perfect condition! After completing the first run, the rest of the staff at the shop have continued making the next batch of corporate flowers ready for our return. The next run goes through to business in Osborne Park and around to Balcatta. It can be an exhausting, but rewarding day. Luckily we usually have enough staff members that those who started early can go home early. The shop still opens for the whole day and Monday can be a busy day for Perth flower deliveries generally. So that is the corporate run in a nutshell and it all repeats the next Monday.